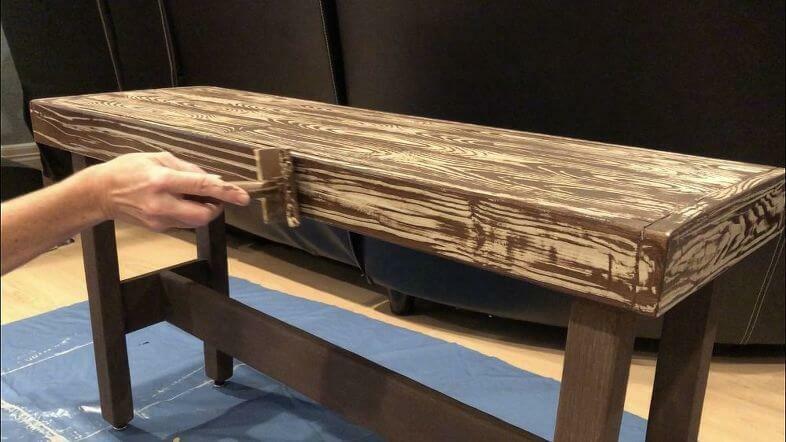 Here is the original bench. It’s color was a taupe color and it just didn’t match my home’s colors. 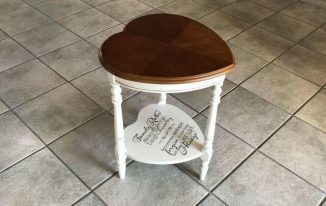 I painted the legs with Apple Barrel Brown acrylic paint. 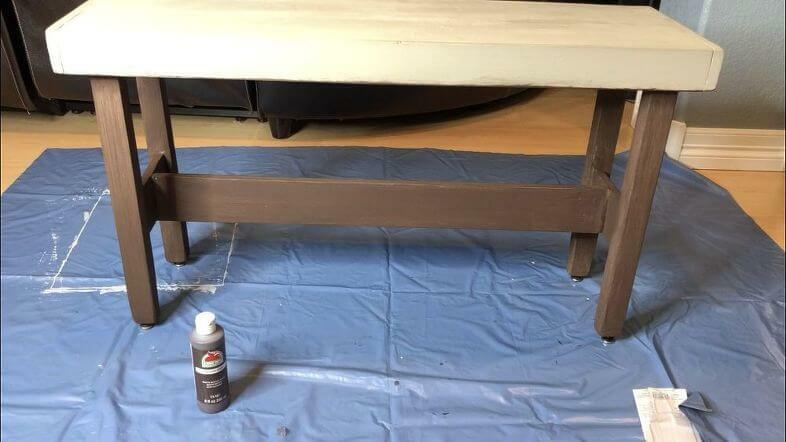 I painted the top and side of the bench with Apple Barrel Warm Buff paint and let that dry completely. I made a mixture of the Apple Barrel Brown with water to create a glaze. 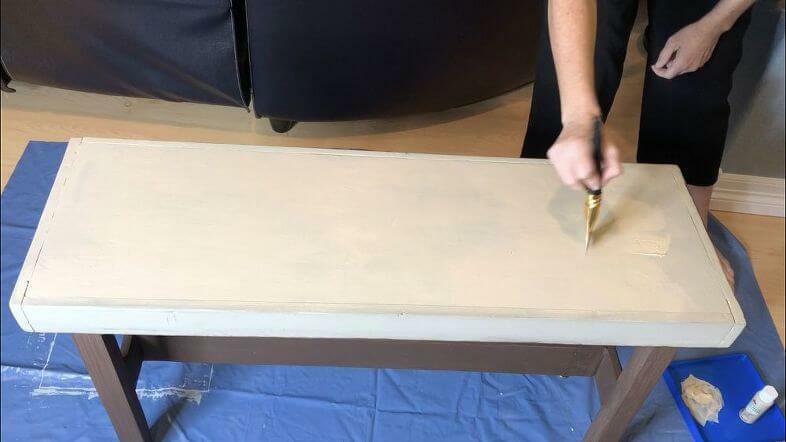 I painted this on the top of the bench. 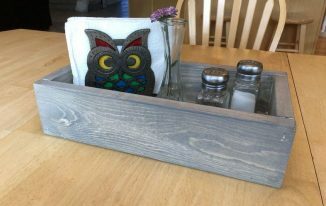 I used a wood grain tool I had on hand to create a wood grain effect on the top. I rocked the tool back and forth to create the textured look as I dragged it along the top of the bench. 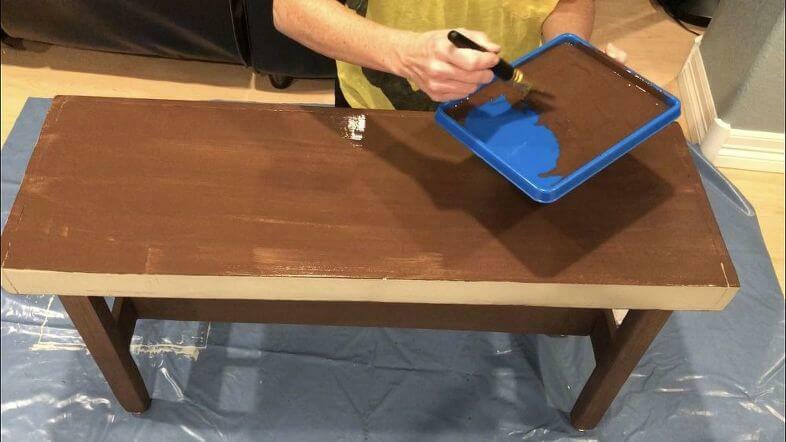 I did the same thing to the sides of the seat of the bench as well. I let this all dry completely. 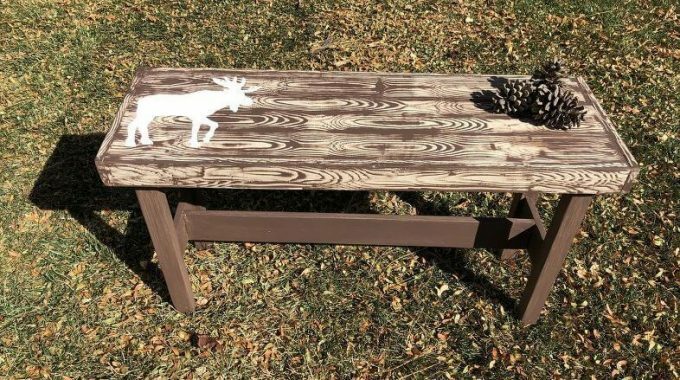 I place my Plaid Woodland Stencil of a Moose onto my bench and held it secure with painters tape. 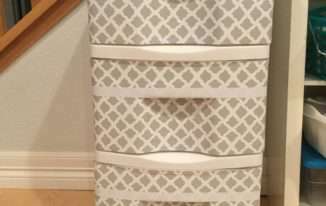 I used Apple Barrel White with a little Apple Barrel Warm Buff mixed in to get the stencil color I wanted. 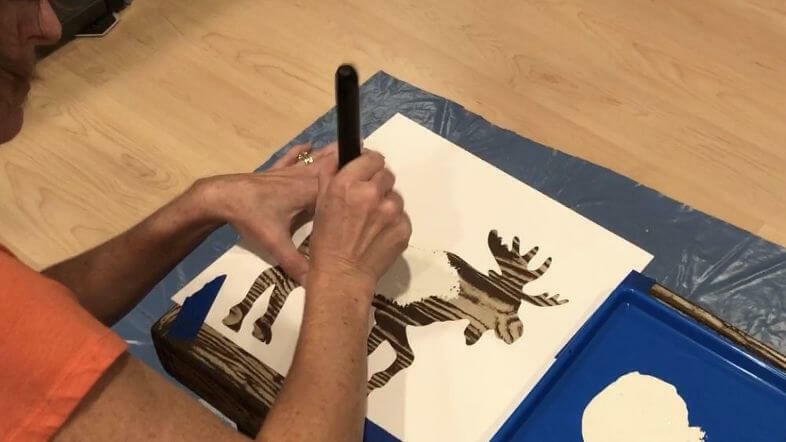 I used My Plaid stencil brush, dipped the brush in the paint and then pounced the brush to unload as as much paint as possible to be ready to stencil. I then pounced the my stencil brush onto the bench and stencil. 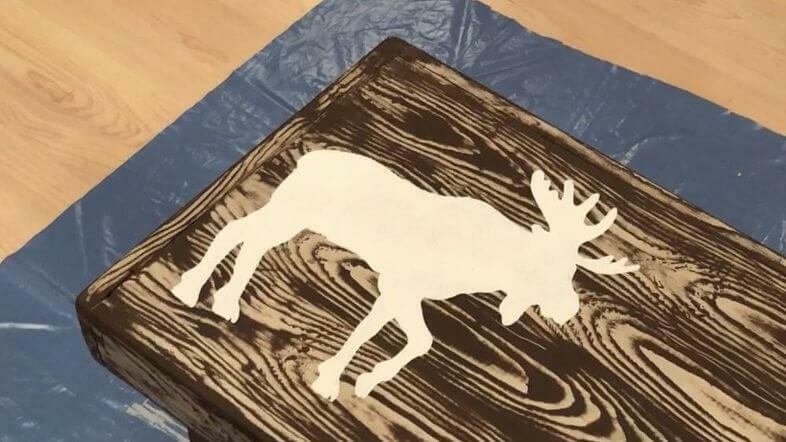 I carefully lifted the stencil off and let the moose dry completely. 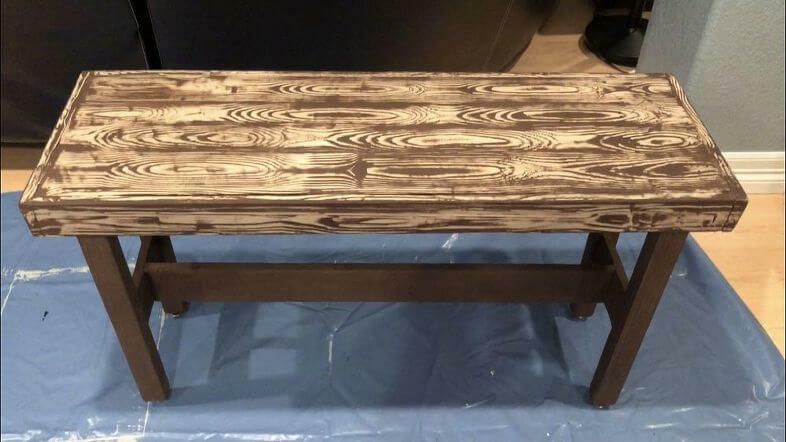 Here is the completed bench. I’m so happy with the way it turned out. 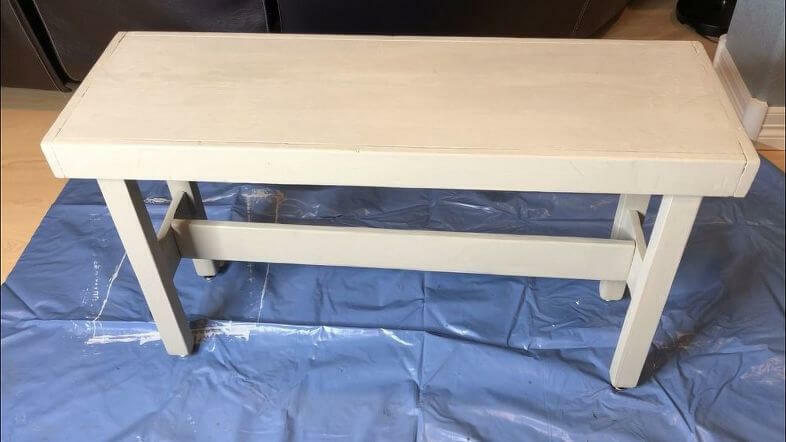 Click on the video below to watch me make this bench. Nice job, Chas. I love the faux wood board look! Thank you Linda, we got to bring it to our condo during the Thanksgiving weekend. We are so excited how it fits in our home. What a cute bench! I love it. I am not creative at all (except for with words, I guess :-)) so I am always so impressed when I see the creations of others. Well done! Thank you so much Megan, and I think what you are sharing is special too. Writing and putting it all out there is a talent too. 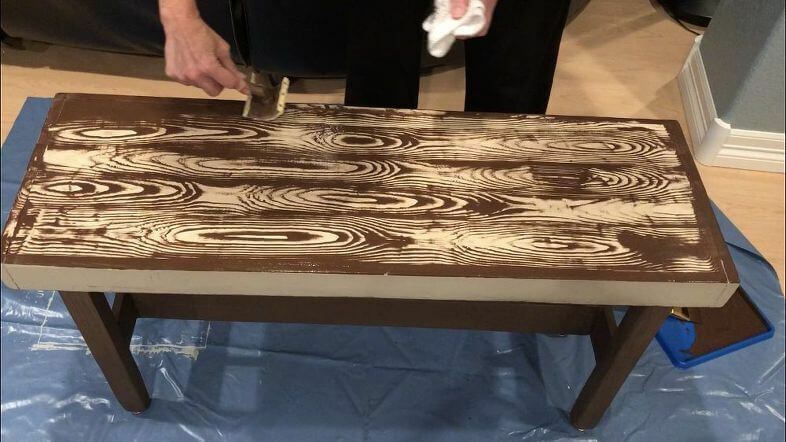 Looks great – thanks for sharing! 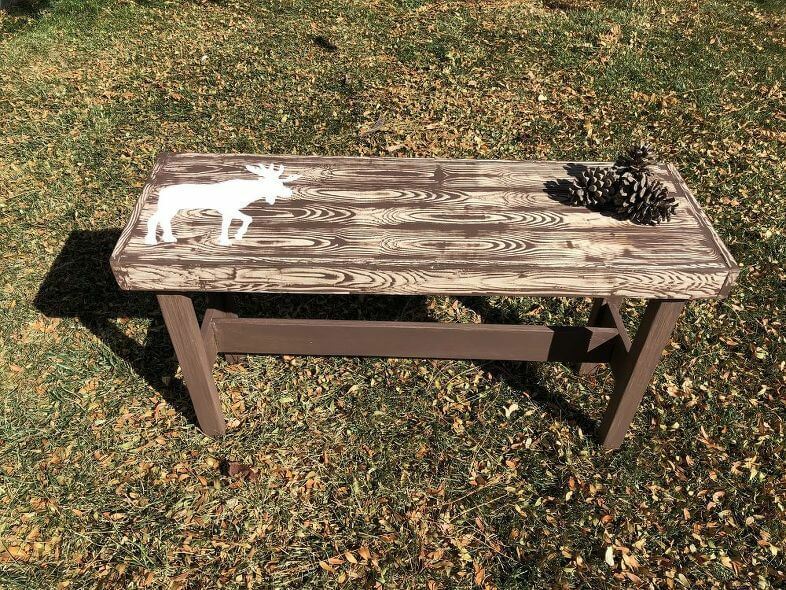 I have some benches to make next year and this post is giving me some ideas! Thanks so much Daron and I’d love to see what you create. Thank you so much Tracy and thanks for the great link party.